Start at the ground ... Let go and settle into stillness. Move your awareness inside ... Come home to yourself ... From this restful place we begin to move, slowly, gently, building and increasing ... Always breathing and noticing ... surprising yourself in what your body can do ... How good it can feel, to reconnect and refine your awareness, your strength, your confidence. Because after all ... no matter what we are doing, how we are moving, what we are thinking ... it's all about awareness and making a connection with ourselves. This year I am making a few changes to my timetable. There won’t be any more Monday classes with me. These classes have moved to Tuesdays. See timetable and details below. 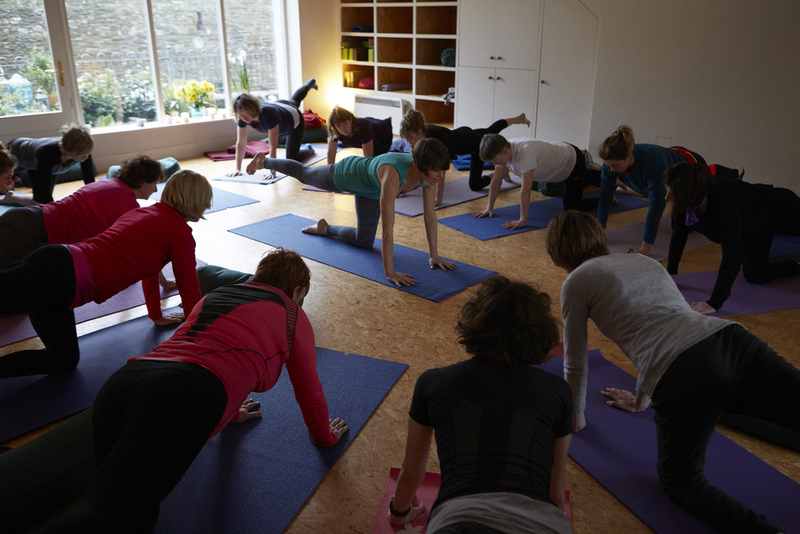 Clodagh McGuirk is offering Monday classes in Flow Yoga now. See Other teachers below for details. 6.30 to 8pm Book in. Creative Flow. 8.15 to 9.45pm Book in. Slow Flow. 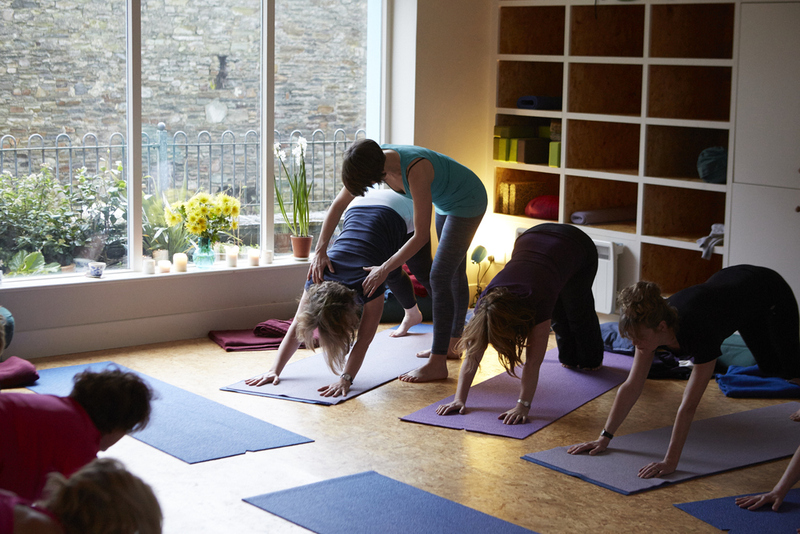 Is an energising mix of flowing vinyasa sequences, strengthening core work and standing sequences, with a balance of some quieter yin and restorative postures, breath work and relaxation. This is a popular mid-level class that suits most people, but you need to have a bit of yoga experience to feel comfortable and enjoy it. Is a comfortably challenging class with slow-paced posture flows, strengthening core work and long held yin poses to improve flexibility. With lots of restoratives and relaxation each week. This class is aimed at beginners, as the pace is slower and we regularly go over the basics. I have a YouTube Channel. Search for Jess Hatchett Yoga. 'Drop in' means that you can just turn up to the class and pay for one class at a time. 'Book in' means you need to reserve your place on a six week course. Morning classes are drop-in €17 each. Evening classes are book-in and are €87 for a run of 6 weeks. In the summer I offer shorter runs of 3 or 4 weeks. My evening classes sometimes run a waiting list. But you won't be waiting long to get in. Text to book 087 7852491. Its best to not eat just before you practice, giving yourself about an hour between a meal and bending is a good idea. You don't need yoga clothes, just something comfortable that stretches, without a belt and not too thick and heavy as the room can get quite warm. You don't need a yoga mat at first, I have lots of spares. If you decide to keep coming, I ask regulars to bring their own mat. I sell mats at the studio, so if you don’t have one you don’t have to go far to sort this out. A lot of people feel nervous when first joining a class, that you will be obviously 'new' and look like you don't know what you are doing. This is not the case! The class is taught in such a way that everyone is so caught up in what they are doing that nobody will be watching you. Plus each week is very different, the classes are always changing, so a lot of things are new to even my most regulars. After the first couple of weeks you will recognise most of the main 'postures' and feel confident even if you don't feel very flexible. Yoga is not for fit flexible people. Its for everyone...but it will make you more fit and flexible eventually. You just need to give yourself at least 6 classes to start noticing a difference. The positive changes that you can expect to receive within the first few weeks are: Improved sleep, concentration, digestion, breathing and mood. A small improvement in your flexibility (this takes months not weeks). Feeling stronger and fitter.